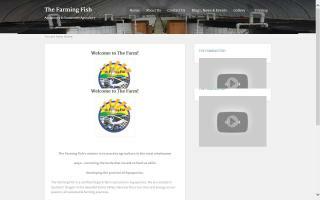 An organic farm centered on Aquaponics and passionate about all sustainable farming practices. Located in the beautiful Evans Valley, our mission is to practice agriculture in the most wholesome ways we can, while nurturing the land. By combining Aquaponic and traditional organic growing, we strive to work with nature to grow healthy, happy food for your family and ours. 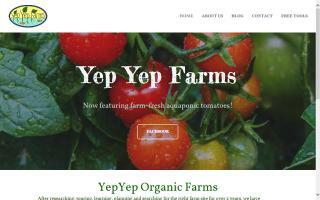 Yep Yep currently operates a small aquaponics unit in Eugene, Oregon. We are working on building our business plan, selecting an urban site, forming a 501c3 non-profit, networking with our communities and designing modern solar greenhouses for our energy independent plan. We seek investors, donors and philanthropists. To create economically progressive and highly sustainable farms that produce high volumes of nutritious foods, heal the land, evolve the community and provide educational and employment opportunities for those in need. To continually expand to meet many of the dietary, monetary, empowerment and inter-connectivity needs of our customers, employees and volunteers by increasing their capacity to support families, communities, land, water, air and themselves.